University of Queensland geologist Professor Rick Valenta said copper would be crucial in a renewable-powered future, but global supplies were far from guaranteed. 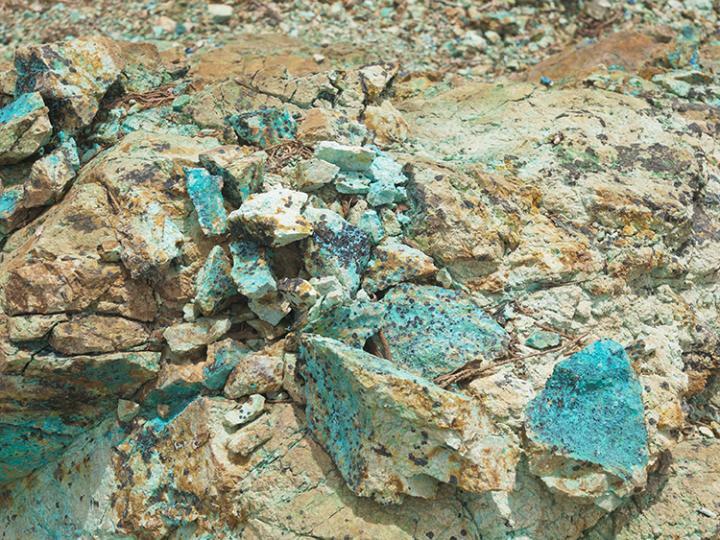 “The UQ Sustainable Minerals Institute examined 308 of the world’s largest undeveloped copper orebodies, and found that 75 per cent face environmental, social or governance challenges that could impede future development,” he said. “The mining industry needs to better manage its environmental, social and governance challenges. “The rise of renewable energy and electric vehicles means copper is a critical metal for society. “If you look at the world’s existing mining capacity, and estimate discovery rates and recycling, there is going to be a shortfall. Researcher Dr Éleonore Lèbre and Professor Rick ValentaProfessor Valenta’s team has developed a matrix of 12 risk categories that consider environmental, social, governance and mineralogical factors affecting the viability and accessibility of complex orebodies.”The traditional view has been that increases in copper prices would cover increased production costs and so make now-inaccessible mines viable. He said other risks could be alleviated by investing in desalinated water, dry tailings dams, and other approaches which reduce the external impacts of mining projects. .
“But the remaining three-quarters of the complex orebodies face environmental, social and governance risks. “The mining industry has been very successful in technological advances and increasing production volume while lowering costs, but this is not going to make those those mines accessible. Researcher Dr Éleonore Lèbre said poor environmental, social and governance performance had damaged mining industry’s reputation. “The industry needs to better manage these risks,” she said. “If they are not dealt with prior to production starting early on, there could be serious environmental and social impacts,” she said. Professor Valenta said there were many examples of projects abandoned because of risks identified in the new matrix. The research, Re-thinking complex orebodies: Consequences for the future world supply of copper, is published in the Journal of Cleaner Production. The Complex Orebodies research project is expanding the study to other commodities.